Decades of dramatic success identified workplace accountability as key to an organization’s ability to achieve desired results. But what was the nature of this causal connection? Is it sufficient to focus on creating greater accountability, or is the relationship between accountability and results more complex? In 2012, Partners In Leadership initiated a three-year survey examining the state of accountability in organizational workforces. 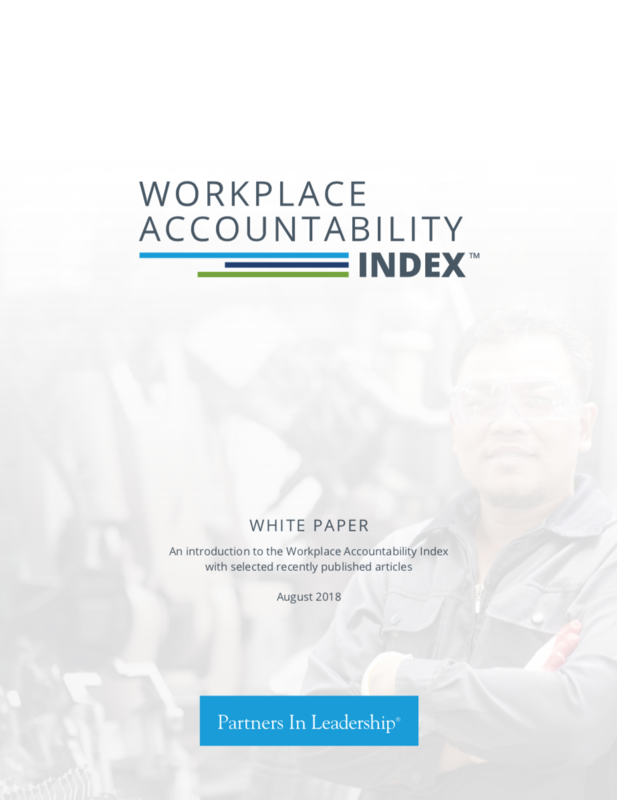 Over 40,000 people, from the executive suite to the frontlines, participated in the Workplace Accountability Study, providing unprecedented scope and extremely low margins of error. The study returned a number of game-changing insights.